Another statue on the grounds. 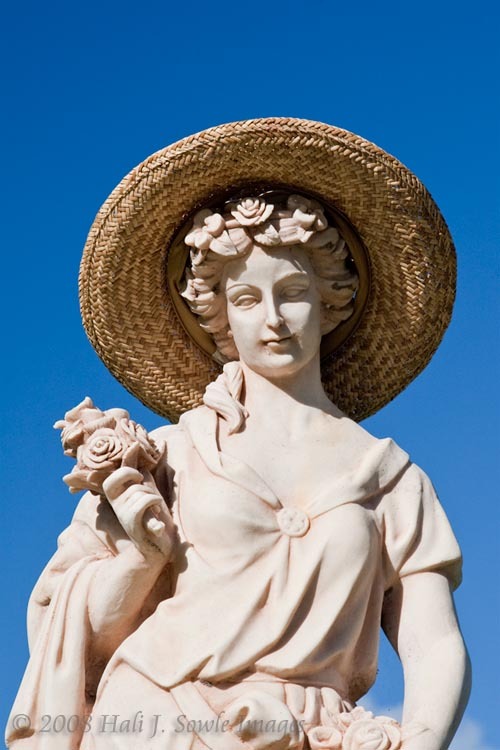 Every morning we would find this straw hat on the statue. It would disappear most afternoons and show up again the next morning.